In this heat I have no intention of taking a stroll anywhere. I’m not a big fan of summer. The only thing I like about it is that international tournaments are held during the summer, though I’m not particularly looking forward to this years. 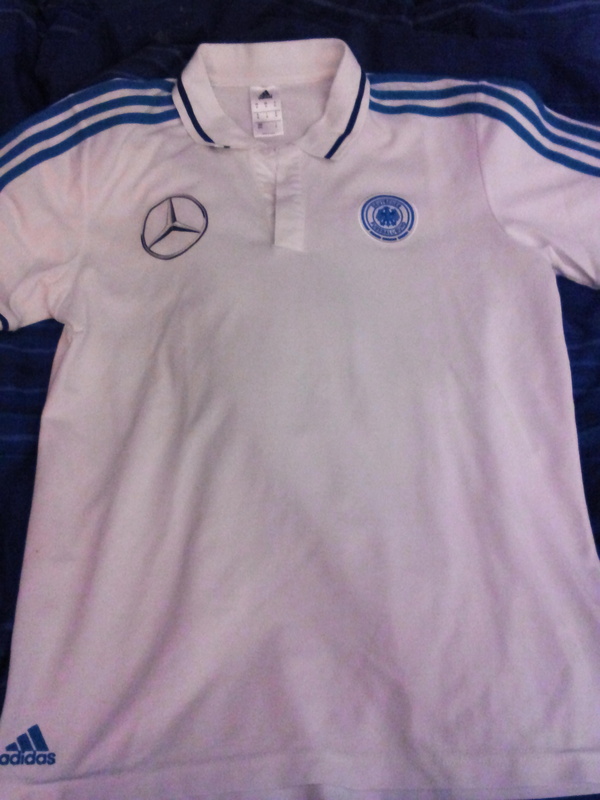 But today none of that matters, this is not a Jogi day or a “die Mannschaft” day. No, today belongs to Freiburg and to them alone. 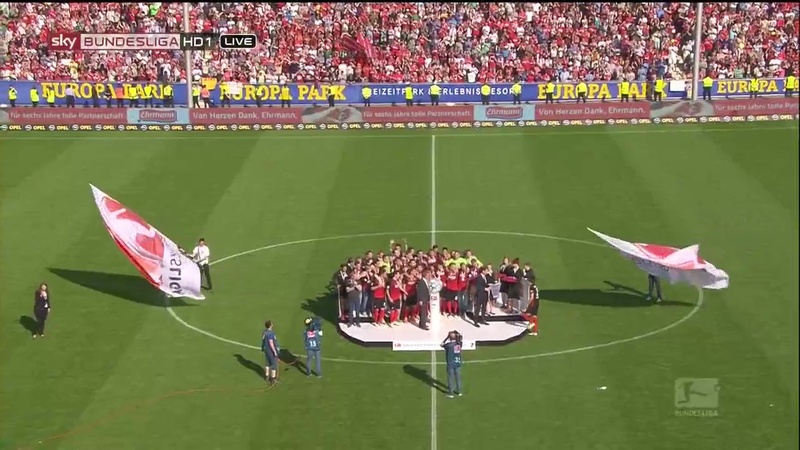 Today they celebrate not only their return to the Bundesliga but their status as champions of the division. 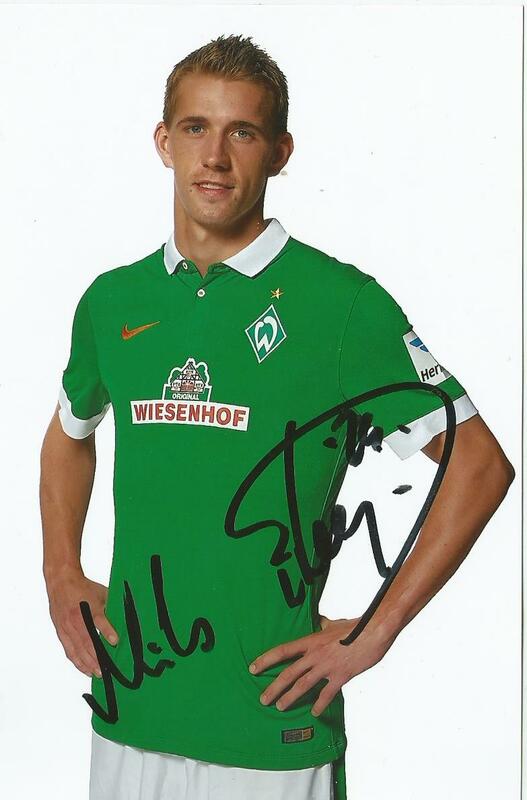 And it just had to be Florian Niederlechner who scored the goals against his old team Heidenheim. 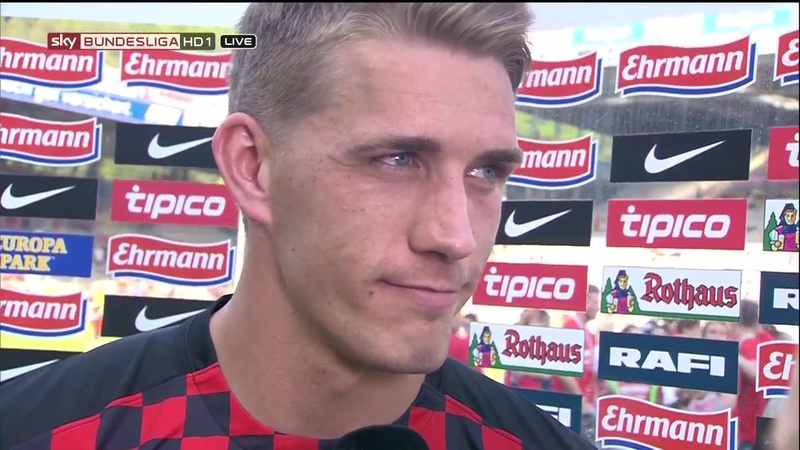 Double joker today because the goals were scored and created by two substitutes, providing the assist for both was Lucas Hufnagel who himself scored a very important joker goal against Bielefeld earlier in the season. The summer is far from over, there’s still the DFB Pokal final and the Euros of course but as far as I’m concerned I have the thing I wanted the most. 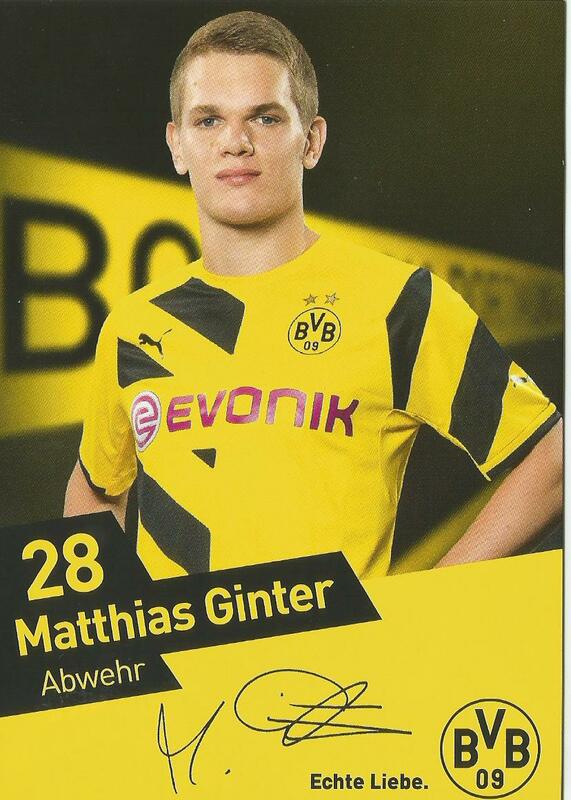 I’d like to see Dortmund and Matze beat Bayern in the final but that would just be an added bonus . 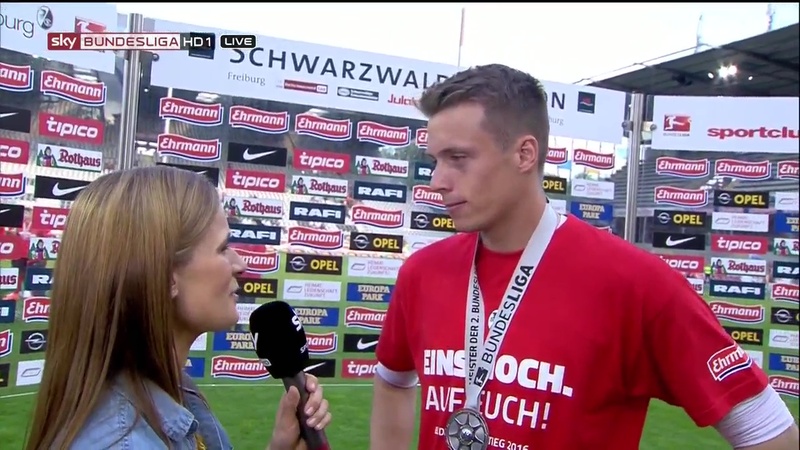 All that matters to me is Freiburg back in the Bundesliga, Dortmund coming to the Schwarzwald Stadion again, more importantly Matze going there. 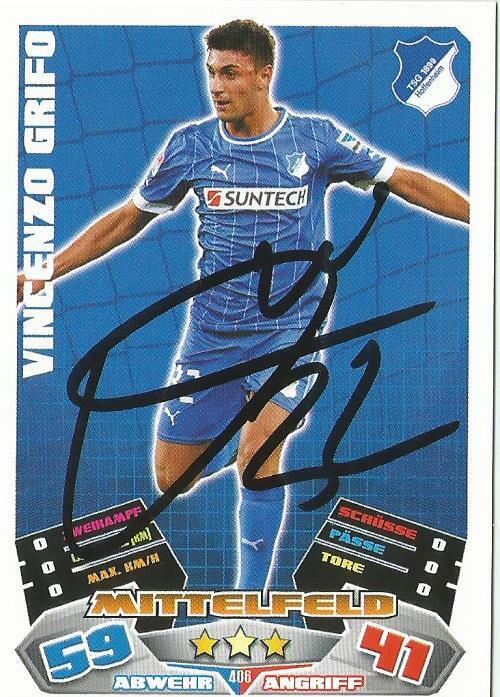 Also amusing was Vincenzo Grifo wandering around bare-footed having given his boots to a fan. That is one lucky person, I hope they appreciate what they’ve been gifted, a pair of boots from a true artist. Florian Niederlechner’s goal is still the highlight of the week, there’s little that can beat it. This week has been strange and not just because of Monday night’s snow filled adventures. Despite not getting a good night’s sleep and not really having a routine to speak of I’m actually quite relaxed. Which would be odd enough anyway. My first instinct was to pick it apart and work out why. I resisted such temptations, thinking that I should just enjoy it whilst it lasts. I can’t help but think of what Sam said in CA:TWS, about how everyone has their issues and problems but you have to decide how much of it you’re going to carry around with you. Whether you’re going to need a little man purse or a holdall. Normally I’d say I need the latter but not right now. Sleeping problems aside everything else is ok, for once I have some sense of balance. That is I’m not spending all my time focusing one thing to the exclusion of everything else. In the past few days I’ve found time for football, watching a film, reading and playing Lego Marvel Superheroes. The game in particular has proved to be a great source of fun. It’s been a long time since I’ve played a Lego game and I’d forgotten how relaxing they can be. Sure they have their frustrating moments as well but there’s little as fun as smashing stuff up and collecting the proceeds. Equally pleasant is the ever familiar sound of Lego bricks being put together and the sound effects when you collect a mini kit. Some things never get old and Lego games are one of those things. With all the collectibles to get it should tide me over until I can afford to buy the Deadpool game. I have to admit it’s strange not to be freaking out over anything. Not that I’m complaining, I just can’t help note how odd it all feels. I’m not even beating myself up for having not written a great deal. I figure a few days without having done much is no big deal. The only thing on my mind has been the decision over what to name my YouTube channel, I’ve been trying to come up with a new name since just after Christmas but nothing fit. Until now that is, it’s not something I came up with by myself, not entirely anyway. On the highlights the commentator called Florian a snow king. I found it amusing and evidently liked the nickname because a few minutes later without even trying I came up with the the new name, “SnowKing Schwolow.” With the save he made in the 93rd minute he deserves such a title too. 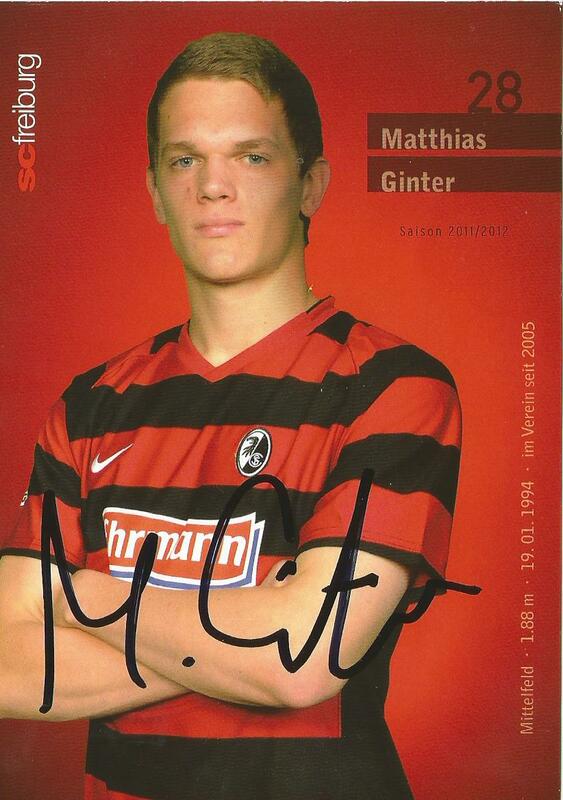 It’s funny, now both my YouTube channels are in someway named after him and both names are Freiburg related. As great as all this is it’s not a solution and not just because being unable to sleep at night makes everything difficult, like seeing Freiburg’s game on Sunday for one thing. I haven’t quite figured that part out yet. The reason this isn’t something which can continue too long is because the only reason things are quiet is because I’m not dealing with anything. I haven’t talked to anyone or conducted any kind of interaction which wasn’t absolutely necessary. It feels great not having to talk to anyone, knowing that there’s no possible mistakes to obsess over. But I can’t hide away forever, I know that. It just makes it clear how impossible all this is. Stay inside and have little to do with the real world and I can for the most part avoid getting stressed out. Don’t do that and I can’t. But then of course you’re not dealing with anything or taking care of yourself. I don’t know how to resolve that or if it’s even resolvable. In order to have any kind life in the real world and be responsible for myself does that mean having to accept that I’m going to be anxious and on edge a lot of the time? Which option is worse I wonder. Dealing with that or not having any kind life and being free of it all. I wonder if such things are part of the reason for the rift that’s developed with one of my friends. If it’s because they’re growing up and it seems like I’m not. Whatever the reasons I’m not upset about it, I’m relieved. It was starting to feel like just another obligation. It may have not been the best way for it to happen but I’m glad I was able to be honest about my feelings for once, or to be more precise a lack of them in this case. It’s nice knowing I no longer have to lie or hide anything, that I don’t have to pretend not to be interested in things that some people consider childish. Forget about hiding them I have a new sticker album on the way. It’s the Serbian one for the European Championships and is superior to the Panini version for one simple reason, there’s a sticker of Jogi Löw. There’s another cool thing about it too, there are packets with different designs and Manuel Neuer is one of them which is the coolest thing ever. December could only be named for Hans-Dieter Flick and it’s quite fitting that I start writing this post now because on the day I started writing it there was a new video of Hansi posted on the DFB site. It’s also fitting in the sense December is the month you get gifts in and he and Jogi have certainly been the source of many gifts this past year. And now Matze too of course. In fact at the moment I have more Matze chapters in progress than Jogi or Hansi ones. He’s proving to be quite the little character. Despite the month being named for Hansi it’s not exactly my favourite time of year. I’ve never been a fan of Christmas and I’m still not. 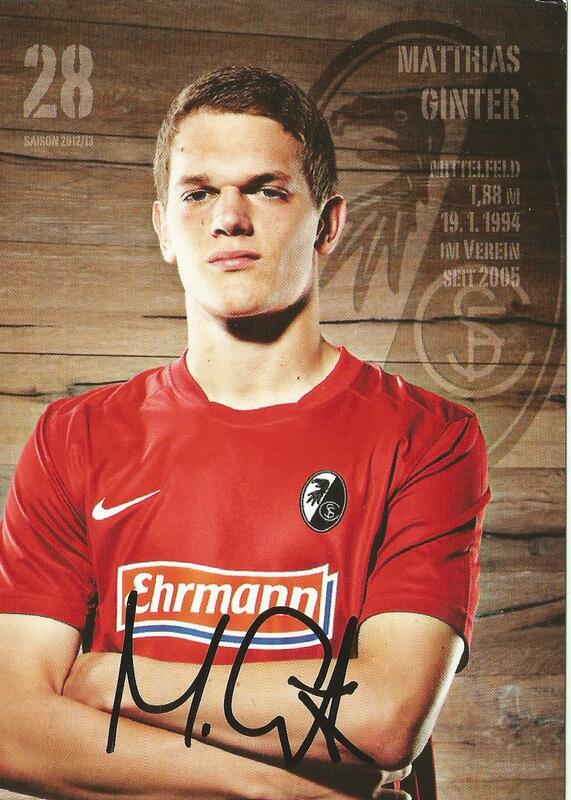 But I did have a little fun this year, the Bundesliga took care of that because on TV Christmas morning was a repeat of Freiburg’s 6-3 opening night win against 1.FC Nürnberg. Seeing it again didn’t take the sting out of losing the reverse of the fixture two weeks before Christmas but it was still a lot of fun. The only gift I really wanted for Christmas this year was for Freiburg to be autumn champions, they just missed out on that honour with RB Leipzig in pole position instead. It would have been nice but it is ultimately meaningless, what counts is where they are four months from now. That’s all that counts. At least they did get to start and end the month with a win, two routine victories in both cases. First a 3-0 win against 1.FC Union Berlin and then against 1860 München. As I expected it was a rather strange month, even more so than usual. For one thing I watched thirteen films. Nothing I watched could beat the first film of the month which was The Secret in their Eyes. Every time I watch it I just fall in love with it a little bit more. It gets more perfect every time I watch it. I also saw a very odd filmed named Stuart Saves his Family late one night when I couldn’t sleep. I watched it purely because Vincent D’Onofrio was in it but it ended up being quite an interesting film and certainly gave me something to think about. This is what I meant to entitle the post but as I mentioned I’d been up late when I watched the film, thus it was even later when I drafted that post and as a result I ended up typing “Perfection not Perfect.” It amuses me but I’m not sure why, perhaps because I’m so much of a perfectionist that I couldn’t even contemplate typing the real title and accepting that something could be anything less than perfect. At the cinema I saw Star Wars which I have absolutely nothing to say about, a disappointing Christmas film called The Night Before which I only went to see because Michael Shannon was in it (he was terrific, as always) and Black Mass which was the true story of Boston gangster Whitey Bulger. I know the film got quite mixed reviews but I quite enjoyed it. It was certainly a passable film for an evening at the cinema anyhow. Other than that I revisited some old favourites. In the spirit of Christmas tradition I watched one of my favourite James Bond films Goldeneye. I also watched Ratatouille which is surprisingly moving for what is essentially an animated film for kids. The scene where the restaurant critic is served the dish ratatouille and it takes him back to his childhood memories always makes me cry. On the subject of childhood memories I also watched Toy Story and Toy Story 2. I’ve seen them at least twenty times each but I’ve only watched the third one twice, and I never watch them as a trilogy. It’s not because I don’t think it’s a good film or because I don’t like it. I think it’s more because in the third one Andy grows up and gives his toys away, I’m not good at accepting change of any kind. I think it bothers me that Andy grows up and gives away his toys. That’s the whole point of the film, about moving on, accepting changes, starting a new chapter in your life and all that. Except it’s quite so cut and dried for me. There is no clear delineation between chapters because the events which normally mark the beginning or end of a chapter aren’t happening for me that way. Book wise it wasn’t a good month, I know I read The Book Thief but I can’t recall what else I read. I certainly hope I did read another book and I just can’t remember because if I really did read just the one then that’s a new low for me. On the other hand reading The Book Thief was extremely important. I did so to test a theory, to see if I still loved it as much and whether or not the plot hole bothers me. I’m happy to say it doesn’t, that I’ve fallen back in love with it. Though I don’t think I ever stopped loving it. I like to think of it like this, no person is perfect, everyone has their quirks and annoying habits but when you love someone it doesn’t matter. So why should a book be perfect. It’s like two of my favourite games Mass Effect and Assassin’s Creed. Neither of them are 100% perfect but I love the first one in the series for both way more than the others. Because for me the other games don’t have the same feel to them, they don’t have the same kind of charm. I don’t care that Assassin’s Creed is a lot more repetitive than AC2. I love the setting, the characters and everything about it. I know the flag missions annoy some people but I actually quite liked them. I’m not saying there’s nothing good about AC2, there is and I did enjoy playing it. I must have done since I’ve completed it three times. But it just doesn’t conjure up the same kind of feelings and excitement that the first one does. Same with Mass Effect. It’s why I’ve played through Mass Effect at least six times and why I haven’t done the same for Mass Effect 2. Though I have to admit part of the reason I don’t love Mass Effect 2 is because I’m still annoyed at not being able to have Kaidan in my squad. I was doubly annoyed because on my play-through with the female version of Shepherd he was my love interest. I really missed Kaidan and as much as I like Garrus, I would have preferred having Kaidan back. Back to the topic at hand reading The Book Thief again was important for another reason, I found out just why I like it so much. That it’s not because the book is narrated by death or because it’s set in Nazi Germany. The person who recommended I read it told me just those two facts about it. As if that’s all I needed to know. They weren’t wrong, the first part alone would have made me read it. But reading it again lead me to think of it a little differently, a little deeper. Only this time around did I think about what I have in common with the book thief Liesel. I didn’t have many books when I was a child, though to be fair no matter how many I owned I wouldn’t have thought it enough. The books I did own I treasured. As much as I loved my Playstation and my Gameboy it certainly wasn’t as much as those books. And considering my Gameboy was like an extension of my right hand during my Pokemon phase, I mean a lot. In fact I still have most of them in storage. But it’s not just about the books. It’s about the words, about being able to tell your own stories. Unless you can read and write you can’t do that. When we meet Liesel for the first time she can’t read or write. It’s her foster father who teaches her to read. But that would never have happened if her brother hadn’t died, if she hadn’t stolen the book from a careless grave digging apprentice who dropped it and didn’t realise. And if the war didn’t happen she may never have met her Papa Hans who taught her how to read. She never would have met Max who helped her realise just how important words can be. I didn’t have that problem, I taught myself to read before I started school. I’ve loved books for as long as I can remember. And I think sometimes I take them for granted, not just the books but the written word in general. Not only being able to read but being able to write my own adventures. Just like some people overestimate the importance of being able to read and write so I underestimate it. Because whilst those people are wrong, whilst they are over simplifying the issues, words do matter, they do help. Because as I’m coming to realise when it comes down to it they are all I really have. At least words of the written variety anyway. Because when it comes down to it a lot of the time it’s the only way I can reliably express myself. For someone who talks a lot I actually say very little. That is whilst I can talk about my special interests until I tire myself out I can’t talk about what’s bothering me. I can’t explain what’s going on in my head. For that I need the written word. I need my stories and my characters. Without them I can’t make sense of anything. 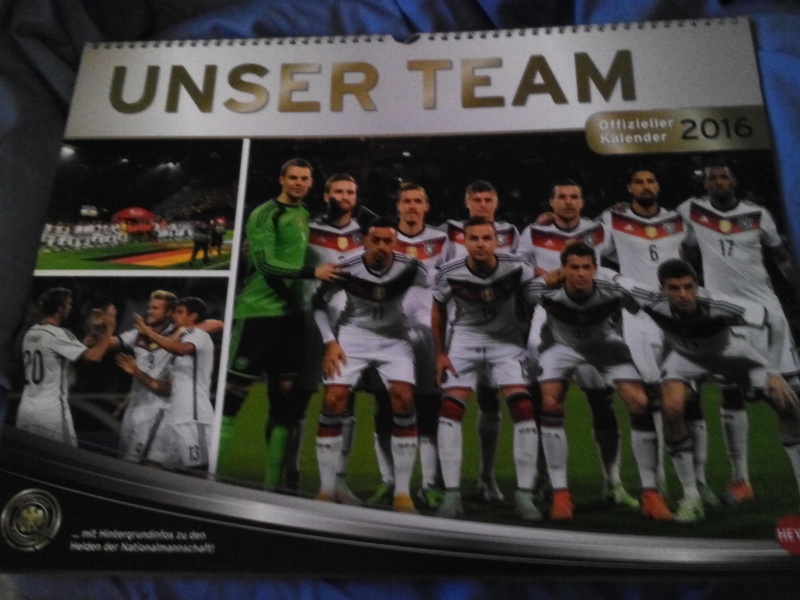 I named the month after them but it really hasn’t been their month, one victory, a defeat, a draw and another defeat. To be fair to them, the two games they lost, the one against Dortmund was always likely to be a defeat and as for the Leverkusen one, one could say they were just unlucky especially with that missed chance at the end. They did play well at times and they managed to frustrate Leverkusen a great deal, it just wasn’t enough in the end. Other than the fact that they didn’t play terribly the only consolation they have is the knowledge that only two of the teams in the bottom third of the table picked up any points this weekend, Stuttgart who managed a draw at Hannover and Hertha who surprisingly beat Augsburg 1-0. All the others lost, Paderborn to Mönchengladbach, Hamburger SV to Frankfurt, Cologne to Bayern and Bremen to Wolfsburg. That last one was by far my favourite game of the week, 8 goals in total, 5-3 to Wolfsburg was the final score with yet another two goals for Bas Dost. Freiburg’s woes and my mid month sleeping related craziness aside, I’ve had a fairly decent month, especially on the stickers front as the title suggests. I’ve started swapping stickers online, so my WC 2014 collection is coming along nicely and my Euro 2012 one is almost complete. Plus it means I can do something useful with my ever growing stack of Champions League doubles. The month has gone a lot like January did, not too many films watched (only seven this month) and a lot of football watched. Some of the things that were on my mind last month are still there, the friendship stuff and the way in which time seems to be so slow and quick at the same time. In addition I still can’t get my schedule straight, I’m starting to think that maybe I’m thinking too much about it, maybe I should just let myself sleep and wake up when I want to and see what happens, surely it can’t be any much worse than how it already is? If nothing else it would be an interesting experiment. As for being happy or unhappy or anything else feelings related, at the moment I’m taking the same approach as I am to my sleeping patterns, the less you think about it the better, take a step back from analysing everything and trying to make sense of it all. Maybe the best option is just to keep busy, make sure I have plenty of things to occupy my mind with, leave no time for such reflections. On a collectibles front it’s pretty good, I got my much prized Hansi Flick coin and the 2008 Hansi sticker I needed to complete my collection. On the subject of excellent acquisitions I also got around to picking up Fallout 3 GOTY for the PS3. This is the source of my current happiness, wandering through the wasteland, hearing the familiar music once more, the joyful sound when you level up. Many happy hours I’ve wasted on Fallout 3 and I’m sure I’ll enjoy it just as much this time around; some things really are exactly like you remembered them. Though I can’t say the same for the Harry Potter books, I read the first four over the past two weeks and yesterday I started on the fifth one. Either I’ve had enough of Harry Potter or it’s not as good as I remember it. The fifth one used to be my favourite but I’m not going to waste any time on persevering with it, not when I have so many other good books lined up to read. I can’t wait for the next Fallout game, whenever that will be, I know that will be enough of a reason by itself to get a PS4. 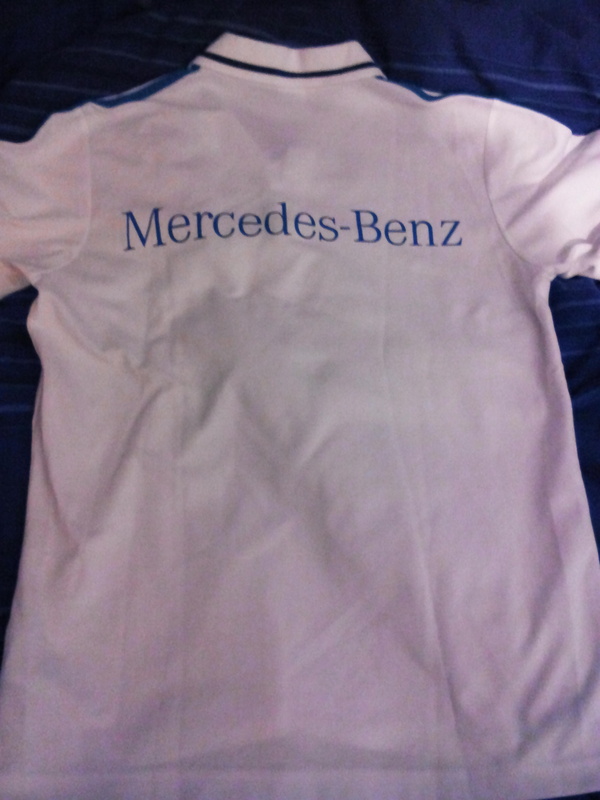 Not that I’ll be getting one this year as I’d previously thought about doing, not even at the end of the year. Maybe next spring is a more realistic time to get one, they’ll hopefully be a little more affordable by that point as well. Seeing as how I’ve only watched seven films, it shouldn’t be hard to pick a favourite. I think Big Hero 6 would be my favourite of the month; I’m surprised by that because I didn’t want to see it when it came out and only ended up going to see it last week because there was nothing else to see and I really wanted to go to the cinema. I’m really glad that I did go to see it and I’m even gladder about the fact that I was the only person there to see it, I like having the place to myself. Then I don’t have to worry about feeling uncomfortable or like I’m being watched or anything like that, it’s a lot easier to relax. I saw it in 3D and for once it’s a film that was actually worth seeing in 3D and it didn’t give me a headache (unlike the Avengers film). It was terrific, yes okay so it’s a Disney film and there are the usual predictable moments in a superhero type film, he’s really smart but doesn’t channel his intelligence into something useful, his brother dies and this becomes the catalyst for the big changes in his life and for him fighting the bad guys, he has a team of varying ethnicities and personalities to fight the bad guy, all of the predictable pieces are there. It’s nothing new in that sense, but it’s funny, it’s smart and the robot is simply fantastic. And even though the emotional moments are all very predictable and have all the subtlety of a freight train, it still works and it certainly worked on me, well the scene with the robot sacrificing himself did anyway. That probably says something about me doesn’t it? That his brother dying didn’t make me cry but that the robot sacrificing himself moved me to tears. Another film that I enjoyed this month was Blitz, I can’t believe I find myself writing this but I actually enjoyed a film that had Jason Statham in it. Given that I was only watching it because Aiden Gillen and Paddy Considine were in it, I thought it would be something I would have to tolerate but definitely not enjoy. Ok, so it’s not going to win any awards but sit back and switch off and you’ll have a fine time. Aiden Gillen is his usual excellent self as the psycho cop killer and Paddy Considine is also good as the gay cop who took the law into his own hands. The story is a little predictable, that’s true and some of it you could see a mile off. Plus I don’t see what purpose the Falls character served or why so much time was devoted to her back story, that didn’t seem to really add anything to the film. One thing I’m definitely happy about is the lack of a new special interest, it was in mid February last year that TK struck, so I’m glad that nothing like that has taken place, Jogi and Hansi are still king. To get back to the subject of collectibles, I’m meant to be finding ways to save money and all I keep doing is finding more ways to spend money, there’s just too much cool stuff to buy, and now I may have another lead on a source of Germany games on DVD, a Frenchman this time and he has games that I don’t have and that no-one else has. I wonder if he has the 2006 Sweden game. 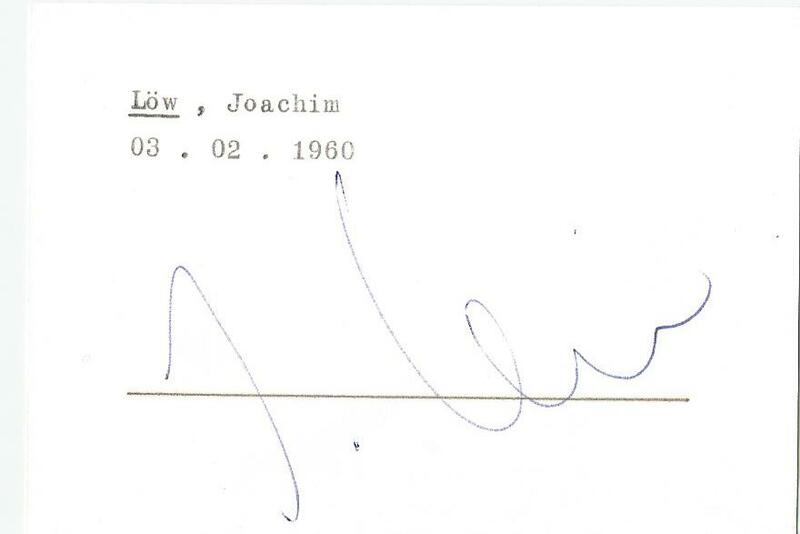 I almost don’t want to write this because I feel like if I do it’ll curse it but I know that’s illogical and will have no effect whatsoever, I may be getting my hands on what would be the second most important piece (the first being my signed football) in my Hansi Flick collection, I’m not going to say what it is or post any pictures, not until it’s confirmed, hopefully the person in question will be amenable to shipping here. How devastating it would be if they didn’t agree, all that effort gone to waste. True I do have a back-up plan for obtaining this particular item, but it’s not at all definite that would work, far from it in fact. Though it would be useful in another quest of mine. Given the number of games I’ve watched this past month, I think taking a short break will be a good idea for the coming month. It’s a case of perfect timing with the international break towards the end of the month, it means I’ll have a Bundesliga free weekend. Maybe a film marathon and whole day spent playing Playstation, splitting the day between Dragon Age and Fallout 3. And maybe getting in a little Wolfenstein time too. The last week in March Germany have two games, a friendly against Australia in Kaiserslautern and the next EM 2016 qualifier against Georgia. It’ll be interesting to see who starts in goal against Australia seeing as how Neuer isn’t usually used for games like this, it definitely won’t be Weidenfeller, that would defy all logic, even if he was a part of their future plans with his current form he doesn’t deserve to be called up. Zieler is the obvious second choice but there’s whisperings online about both Kevin Trapp and Oliver Baumann. It would be for both of them their first full international cap were they to be called up. I hope I can watch a few less games anyway, maybe just watch the 2010 qualifiers I have and save the actual tournament for April. Putting off watching it till next month will give me some time to decide between watching them in German or English, I have them on blu-ray in German but part of me doesn’t want to watch it knowing that I can’t make videos from it, not until I get an external blu-ray writer. I’ll most likely end up watching both versions in spite of that fact. Maybe I can along the way find some more time for films and reading. I’ve already made one important film related decision, Die Mannschaft was the first film I saw this year and it will be the first film I see this month, thanks to the many and varied wonders that the internet has to offer I now have a copy with English subtitles. Another film I’m really excited about seeing is Chappie, it comes out this Friday and I can’t wait. District 9 is one of my all time favourite films and I really like Sharlto Copley. I have a feeling that if it wasn’t for Die Mannschaft, Chappie would be my film of the month. I didn’t get my numbers wish, no complete world cup set yet. I do have another world cup set of sorts in today’s statistics though. Top of the list is Brazil with 14 views, also on the list is Germany with four. Plus Japan and South Korea with three each, and South Africa with two.The United States is also on the list with fourteen views, a fact I’m mentioning only because of Jürgen Klinsmann. What do all those countries have in common? They are all world cup hosts, Brazil in 2014, South Africa in 2010, Germany in 2006 and Japan and South Korea in 2002. Of course now I’ve gone past the 5000 mark. And this on the 17th of February. 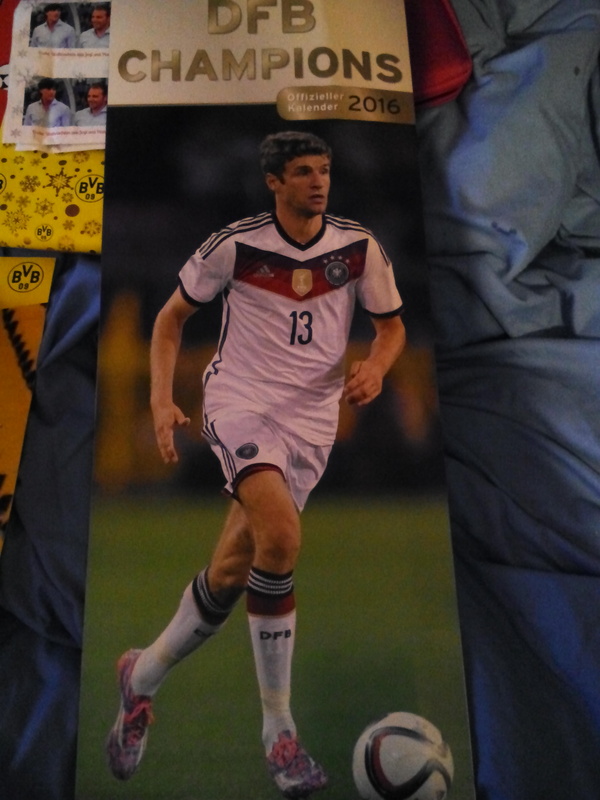 Completing the happiness is the fact that I got a new batch of Champions League stickers, in which I got my fourth sticker of Thomas Müller and my third of Manuel Neuer. 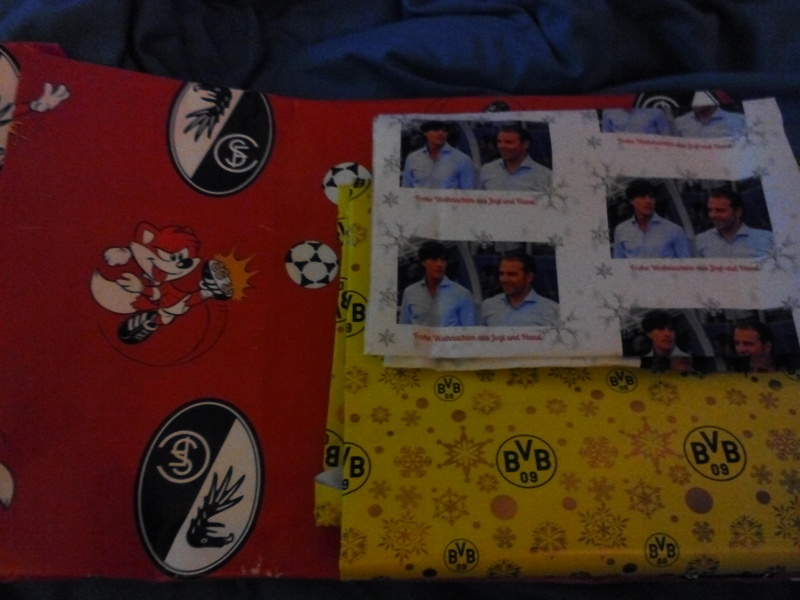 I also got doubles of Benedikt Höwedes and Mats Hummels. 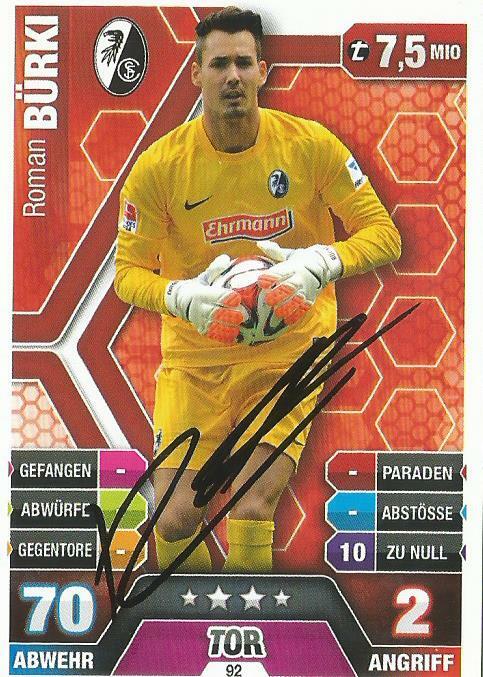 None of them are my sticker of the day though, that honour goes to the Swiss international Valentin Stocker, the same Herr Stocker that ended up with an arm around his neck on Sunday courtesy of Freiburg keeper and his fellow Swiss international Roman Bürki. If I wasn’t feeling so terrible and were it not for the fact that I’ve already put him in the book there would be a picture here of said sticker. But I won’t be scanning any stickers today, or doing much of anything that involves getting out of bed. My planned quiet day has turned into a sick day (I was outvoted on that decision). So I’ve had plenty of time to think today. I could have spent the day catching on my ever growing list of TV shows that I need to catch up with (Banshee, Fortitude and Sleepy Hollow to name three) or playing Playstation, but seeing as how the house was quiet and the fact that I have a headache, I decided just to enjoy the silence. This may sound strange but in one way I’m actually glad that I’m sick, the reason being that it may provide an explanation for my strange behaviour last week. That can happen, getting sick can make a person act more autistic than usual. I hope that’s the reason anyway. One of the things I’ve been thinking about is the subject of reciprocity. I’ve been thinking about this since I was reading another blog and I saw that some people were thanking the blogger for following and/or liking their blog. It never occurred to me to do this, but it seems that it’s the done thing. It’s interesting that it never occurred to me to do this, but then I’m not good with the concept of reciprocity in real life, so why would I be online. Sometimes I’ll be thinking of the list of difficulties that AS people can have with conversation and those sorts of skills and I’ll think I don’t have that problem, I can have a back and forth conversation and things like that. Then I’ll think, you only talk to people about things you are interested in, and the people you do talk to are very tolerant and used to my conversational oddities, for lack of a better way to put it. Making an effort to do this would fit in with one of the things I put on my to do list for this year, which was to gain some understanding of the concept of social reciprocity. I’ve also been thinking about video games, in particular Fallout 3. I don’t have a copy for my PS3, I think I’m going to need rectify that next week. Even though I can’t play right now, there is something very conducive to my state of mind at the moment about wandering through the Wasteland. I didn’t get enough sleep when I think about how long I was awake the previous day but it feels like I got too much. Can’t win either way. Whichever it was the good thing is that I was awake and out of bed before lunchtime. That’s not too bad taking into account the past few days. One thing I should keep remembering to tell myself, no sleep equals no dreams. And a state of exhaustion which results in you being unable to think straight means even if you do dream you won’t remember anything. If you don’t remember anything then you won’t have the pleasure of recalling such intriguing dreams as Hansi und die Hoffenheimers. I need to find a way to get back into a good routine again, one that is centered around more than just being awake for the live Bundesliga game at 14:30 on a Saturday. A routine that takes into account the rest of the week as well and which does not involve staying up till a ridiculously late hour and waking up at even later hour, or staying up all night to make sure that I see the game on Saturday. I need something to center the week days around, something to provide some kind of structure. I should start getting some exercise again, that would probably be a good thing. Because of something I read on a forum I occasionally lurk on I’ve been thinking about Harry Potter. I don’t think I want to get the books out and read through them again, I think I’ve read them enough. Instead I was thinking about the first two games and about the fond memories I have of them. Two parts in particular stand out in my memory, the level where Ron is throwing up slugs and you have to catch them as he’s throwing up, for some reason I found that really amusing. The other was a level where you are either chasing Peeves or he is chasing you, either way you control Harry as he runs through the attic and you have to keep him from falling off the beams as he’s sliding everywhere. And not forgetting the Quidditch of course, that is simply awesome. I know by digging out games from my childhood that it could be seen as running away from everything but honestly who cares. As long as it gets you out of bed and doing something instead of lying around, doing nothing except for worrying about the fact that you are doing nothing, then it’s progress at least. On the subject of getting stuff done,there’s something I read in the book about Robert Enke that is worth mentioning here: in the morning you don’t feel like you can do anything and so don’t try to do anything, then in the evening you beat yourself up for not having achieved anything. That is very true and not an easy habit to break out of. In some respects I may be being too harsh on myself, I get told this quite a lot, that I expect too much from myself and that I should relax and not be so tightly wound. After all it’s not like I’ve done absolutely nothing these past two weeks, I’ve posted something on here every day even if it’s just been pictures of Jogi. Plus I’ve read at least a chapter a day of the book I’m reading and I’ve written a few pages of my new Jogi und Hansi story. Even though I’m pleased with the latter, it’s not a good thing because I wrote it late at night which tends to be when creativity strikes. I find that when I’ve been awake for a long time, just before I start to get tired, for a short while I feel like I’m invincible, that strange state of hyperactivity in which all of a sudden I want to do everything. One has to be careful with that because if you get carried away with what you are writing, it can be easy to forget how long you have been awake and as a consequence to stay awake for far too long. And as is expected after such a night, you crash hard. 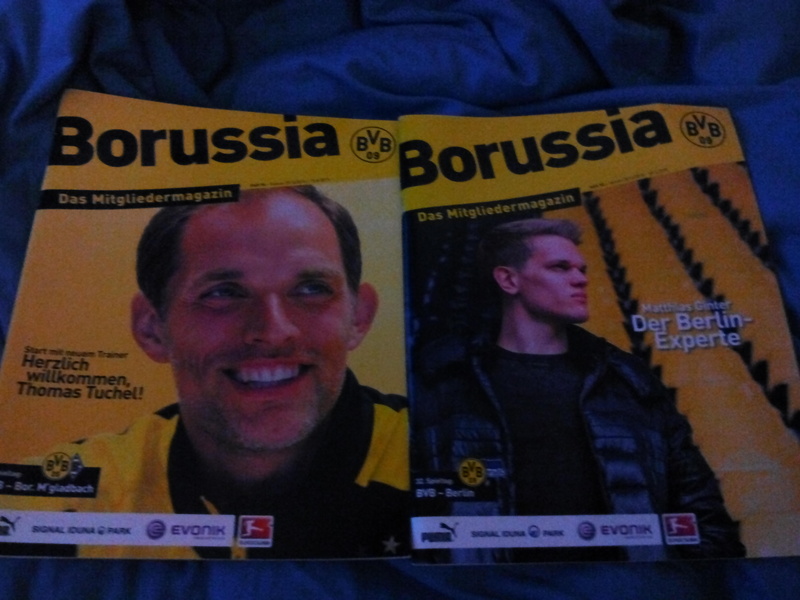 It’ll be interesting to see how the cinema works out, in the spirit of not expecting too much from myself I’ve cut down the social part of the afternoon considerably, I was lucky enough to have a cover story in the form of Dortmund’s game against Mainz which is at 19:30. On the subject of the Bundesliga I’ve just had what was going to be the highlight of my week ruined for me, Freiburg’s game on Sunday is not going to be shown live here. I don’t understand, the games on Sunday are always shown live, how typical is it that the weekend Freiburg are playing on a Sunday, that isn’t the case. At least I have a back-up plan to see the game. I know that’s the important part to focus on, not the fact that what has been my Sunday routine for the past few months has been interrupted without any warning. The smell and taste of strawberry milkshake and nutella, not in the same glass though. It can only be the weekend. A weekend of sugar filled treats, quiet time, cable TV and Pokemon. Just thinking of those two things takes me back to any one of the many weekends I spent at my grandparents house. I spent a lot of time there, having four siblings is no picnic for anyone. Even less so when you like quiet and one of them seems to have take a vow of destruction and loudness. I can picture it as if I was just there yesterday. Sitting on the floor, gameboy in hand, my emergency book ready in case I run out of batteries, my trusted and very battered Pokemon guide book with it. Snacks just above me on the table next to me. How wonderful it was to know that no-one is going to come and steal your batteries or to switch your gameboy off as a joke. There was also another thing I considered writing about, two sensations again, the taste of cheesy Quavers and music, I think the song was The Final Countdown. I don’t know why I remember this, I don’t remember much of any other Christmasses. It was the Christmas I got Driver for the PS1, I spent the entire holiday playing it, just driving around the city of San Fransisco. I remember sitting there, eating crisps, hearing that music, I think the reason I remember it is because it felt like everyone had forgotten I was there. And I liked it, it was one of the few times I felt comfortable in a gathering of people. And the only reason I felt comfortable is because everyone else had forgotten of my existence.